Looking For A Podcast? Try 'Fugitive Waves' Jenna Weiss-Berman, director of audio at Buzzfeed, says this podcast, produced by Kitchen Sisters Davia Nelson and Nikki Silva, offers a gorgeous and complete soundscape. Jenna Weiss-Berman, director of audio at Buzzfeed, says Fugitive Waves, produced by Davia Nelson and Nikki Silva, offers a gorgeous and complete soundscape. "When you're listening to the Kitchen Sisters, you never hear a host or a narrator, you really just hear the people whose stories are being told," she says. Click here to listen to "The French Manicure," Weiss-Berman's favorite episode. And for more great podcast recommendations, visit earbud.fm. Here's an understatement for our times. Podcasts - there are a lot of them. Well, fortunately, NPR has a solution. It's a guide to great podcasts called earbud.fm. It features episodes of more than 200 podcasts, each one highly recommended by a real person, like this one. JENNA WEISS-BERMAN: My name's Jenna Weiss-Berman. I'm the head of audio at BuzzFeed. 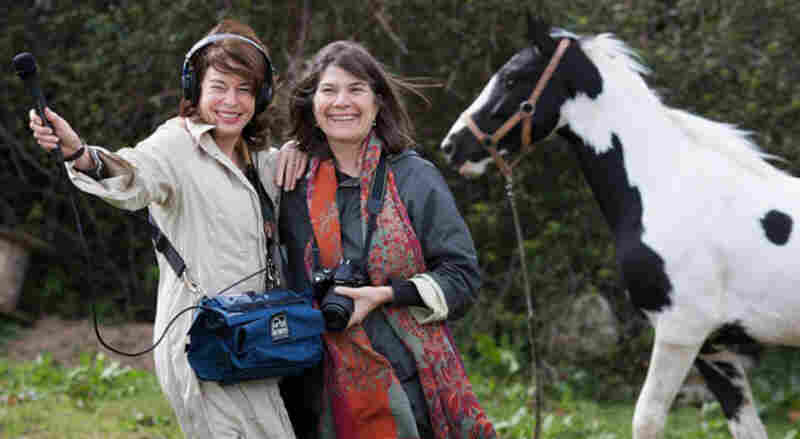 WEISS-BERMAN: The podcast I chose is the "Fugitive Waves," which is the Kitchen Sisters' podcast, because the soundscape is so gorgeous, and it's so complete. WEISS-BERMAN: And the episode is the "French Manicure - The Long Shadow of Shirley Temple." WEISS-BERMAN: When you're listening to the Kitchen Sisters, you never hear a host or a narrator. You really just hear the people whose stories are being told. YUENG CHUAN: I'll do manicure, pedicure many time. My name is Yueng Chuan (ph), and I live in San Jose. WEISS-BERMAN: This episode is all about Vietnamese immigrants who are now working as manicurists in the U.S. And if you listen, you hear all sorts of amazing elements. WEISS-BERMAN: So you start out by hearing the tapes that this woman is listening to to learn English. UNIDENTIFIED WOMAN #1: (Speaking Vietnamese). UNIDENTIFIED MAN #2: The feeling. UNIDENTIFIED MAN #2: The sound. WEISS-BERMAN: And then she starts talking about her love of Glen Campbell, and you hear Glen Campbell. GLEN CAMPBELL: (Singing) I am a lineman for the county. UNIDENTIFIED WOMAN #2: I left Vietnam in 1972. WEISS-BERMAN: So I think that this style combining so many different interesting audio elements really kind of puts you in the place that is being talked about. So when you listen to this, you can really picture everything that's going on. The audio just kind of surrounds you and brings you in. That's a bit of the podcast "Fugitive Waves," a favorite of Jenna Weiss-Berman, head of audio at BuzzFeed. Listen to the full episode and find many more recommendations at earbud.fm, NPR's guide to great podcasts.